Making use of a nonequilibrium functional renormalization group (Berges and Mesterhazy, 2012) are able to investigate a whole hierarchy of fixed points that explain the successive evolution of a system from a nonequilibrium state to equilibrium. Can such an appoach be applied to investigate the transition between two inertial subranges in atmospheric turbulence too? 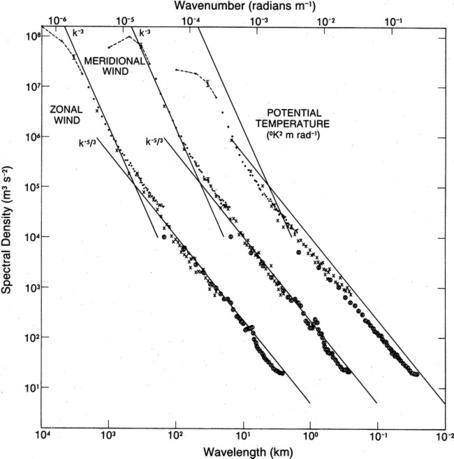 Looks quite similar to the TKE spectra one observes in atmospheric turbulence. 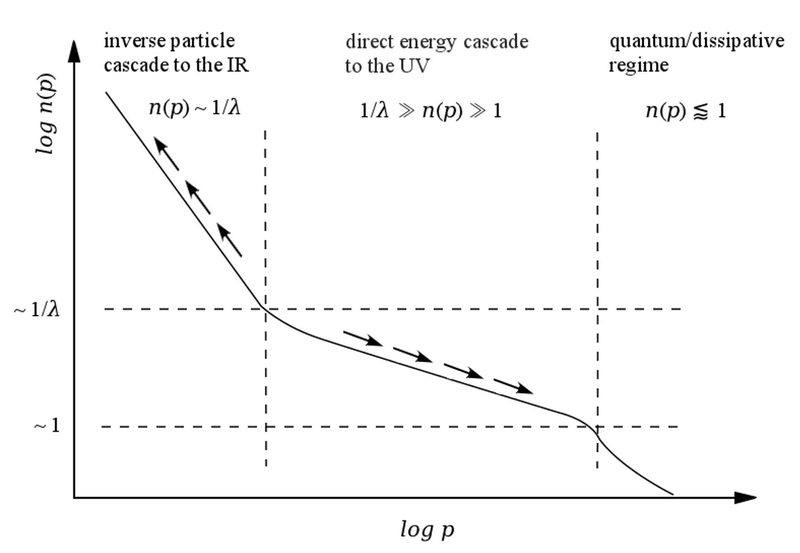 In both cases, the different regimes are associated with with a stationary transport of conserved quanitities. So, is this similarity I percieve only superficial and misguided, or should it in principle be possible for example to describe the kinks in the Nastrom-Gage spectra by such dual cascades too? And if so, has there already some work on this be done or is under way?